It is so cute! I really want to start doing paper crafts, but right now I don't have the right equipment right now (I really want to purchase a die cutter). Your card is so pretty though! You would really LOVE a Big Shot! I wouldn't be able to live without mine. 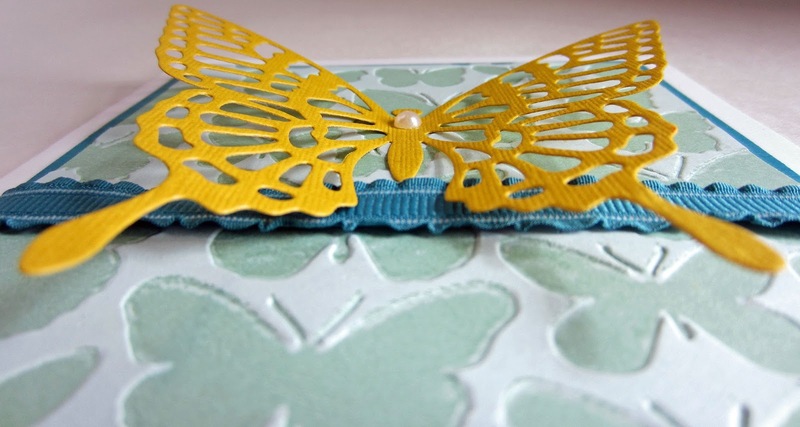 Let me know if I can help in any way -- I'd love to get you addicted to papercrafting! Butterflies are one of my favorite creatures, so this was right up my alley! Thank you so much for sharing this beautiful craft! Someone will be so honored to receive that card! It's beautiful! 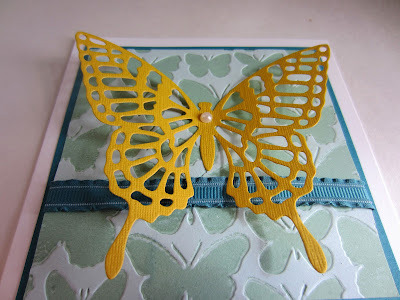 I have such a thing for butterflies so I just love this card. Pinned. I think this is beautiful!! 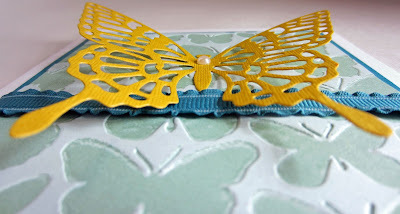 Tweeted for I'm Katie Visiting from Wonderful Wednesday Blog Hop! Linda, This is a very beautiful card! Thanks so much for sharing with us each week at Brag About It! Pinned to share. Your work is so beautiful Linda and we love it when you join us each week at Celebrate Your Story. Love butterflies and this is so beautiful. 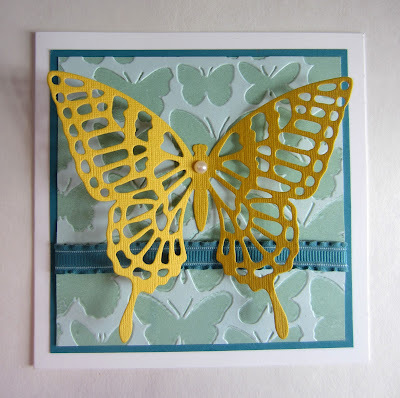 I love butterflies so this card is a total winner for me! It looks so delicate! So beautiful! Thanks for sharing on the Pleasures of the NW's DIY Party! Lovely. Visiting from Pieced Pastimes. 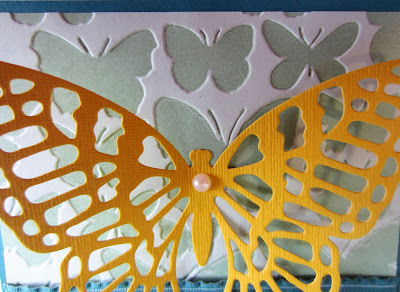 I really love how that butterfly just pops off the card!! Thanks for sharing on My 2 favorite things on Thursday! Pinned! Very pretty, I need to try braying my embossing folders!